Powerix licensed electricians offer a full range of smoke alarm services across Sydney. Providing the very best protection from fire for your family, home, or business is our top priority. We can take care of the installation of new or additional smoke alarms, routine testing of existing alarms, as well as repairs to faulty units. Fire and Rescue NSW recommend that homeowners install hardwired and interconnected smoke alarms where possible to ensure instant notification of a fire for everyone in the home. If an interconnected 240-volt system is not practical 10-year lithium battery-powered smoke alarms are suggested. 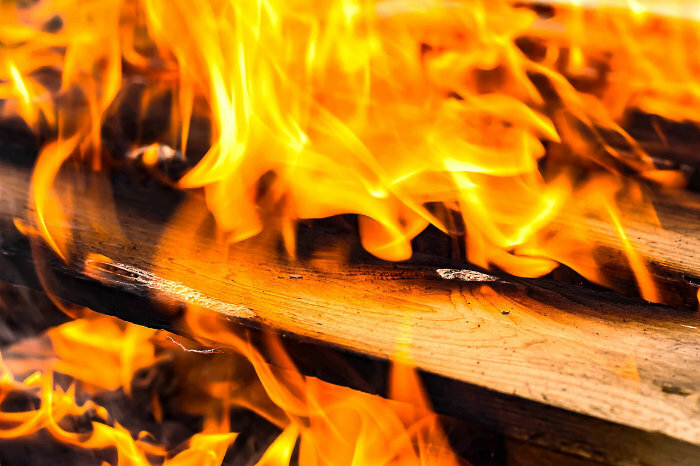 Australian fire authorities highly recommend using photoelectric smoke alarms due to their superior sensing of smoldering fires, or fires in the early stages. Photoelectric style alarms ‘see’ the smoke using a photo-cell and a light beam shining a light away from the cell. This allows the alarm to quickly detect smoky or smoldering fires. This style is less prone to false alarms or activation from cooking fumes. Ionisation alarms use a small amount of radioactive material which reacts to particles produced in a fire. This style is good at detecting fast flaming fires with minimal smoke, however often house fires are the smoky type. These alarms can be easily set off by cooking and steam so should be placed away from the kitchen, laundry, and bathroom to avoid repeated false alarms. Our electricians can provide expert advice on the most effective areas to locate smoke detectors (alarms) throughout your home. It is very important that everyone at home hears an alarm regardless of where they are in the house. Areas which pose a significant risk include those which are sometimes noisy and can be shut off from the rest of the building, ie the garage and bedrooms. The minimum requirement under NSW smoke alarm legislation is one working smoke alarm on each level of residential properties. However, both Powerix and Fire and Rescue NSW are encouraging residents to opt for the full protection of an interconnected hardwired smoke alarm system. Hot Tip - most house fires begin in the kitchen, always watch your cooking and never leave unattended. Our electrical team recommended installing carbon monoxide alarms in all homes with gas heating, both flued and unflued. Carbon monoxide is a waste product from burning gas which can build up in confined spaces, such as a lounge room with no windows or doors open, and cause serious health issues. Powerix team of qualified electricians offer complete smoke alarm systems for homes and businesses across Sydney. Speak to our team about protecting your home and family from fire on 0420 798 861 or complete our online service request today.